Having a hard time waking up after the New Year? You're not alone. 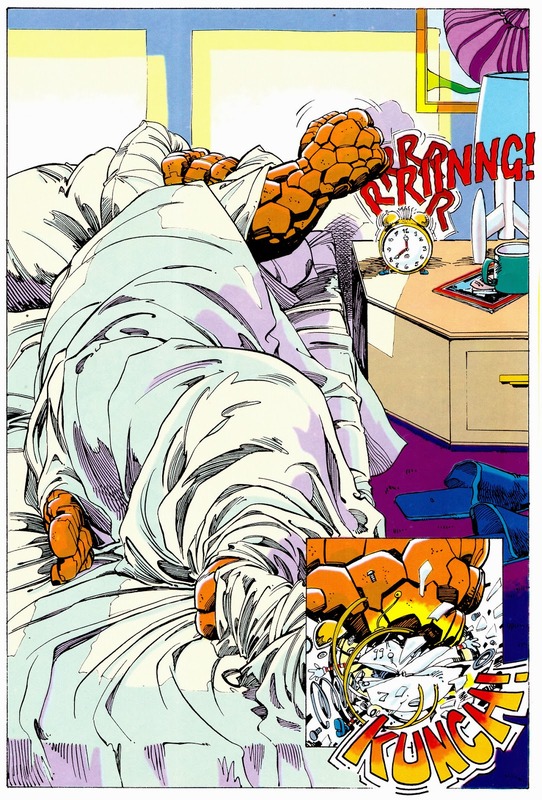 The Thing smashing his alarm clock, of which he has over a dozen. This is from the Marvel Fanfare special by Barry Smith. 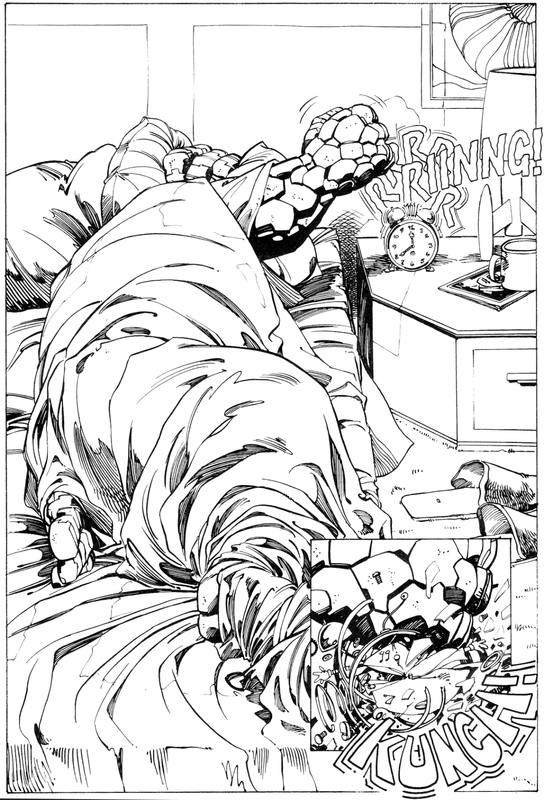 The original art to this splash page! Nuff Said. Barry does the best Thing. Perhaps THE best single story in Marvel Fanfare.